Hi everyone, hope you are doing well – today I have a pretty amazing nail polish to share with all of you. It’s technically an Indie brand of polish (handmade) but I suspect this brand might become commercial soon, why? Simple, any major nail polish company would be a fool NOT to approach this seller with a lucrative offer. Yep, it’s just THAT good! Indie nail polishes have exploded over the past 2 years, with major nail polish companies producing knock-offs, thus nail polish hoarders like myself lol are in search of the ‘original’ or the next big thing. If that’s not an introduction worthy of an amazing polish…lets get to some pictures!! 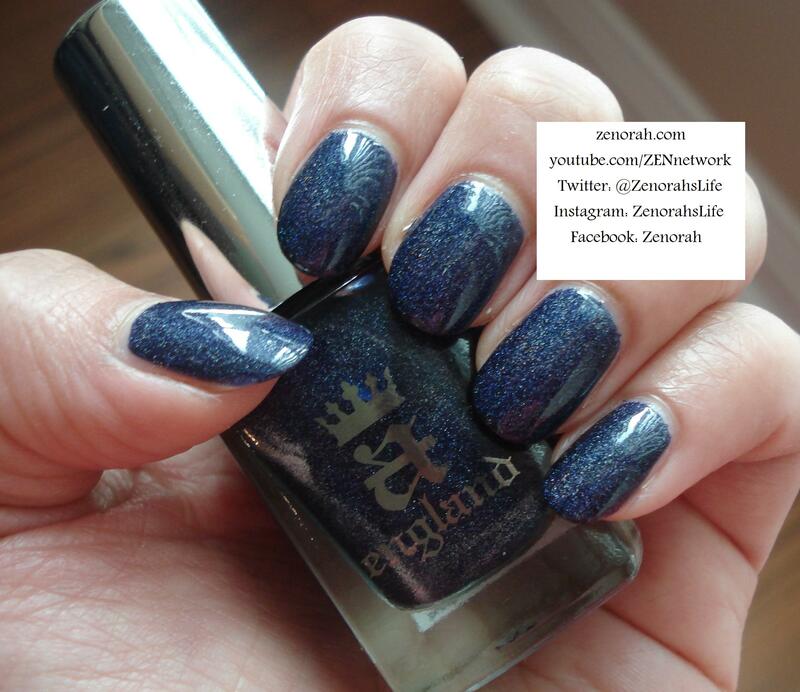 A-England ‘Tristam’ – is a navy blue holographic polish. Seriously, what’s not to love? 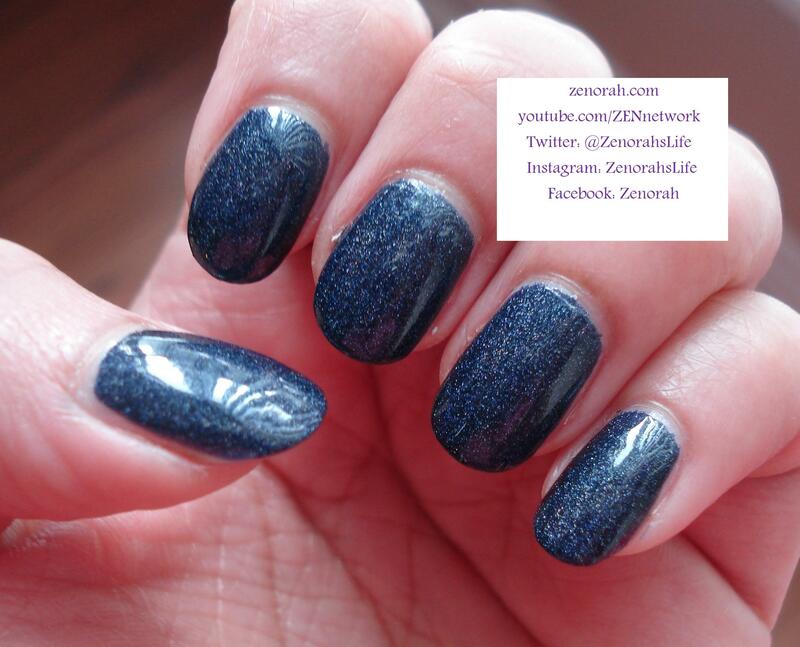 The holographic effect is more apparent in sunlight than indoors but I LOVE this polish because its a classic navy polish but with a twist! I am so happy I purchased this polish within the Fall/Winter season because I’m going to get a LOT of use out of this in the coming months! The formula on this polish is so impeccable I can’t believe it’s handmade!! The manicure you are viewing was two coats of polish however you can get away with one thick coat of polish. The dry time was around 10-15 minutes however once it dried it had such a beautiful high shine as you can see from the close up photo. The formula was very buttery which makes it VERY UNIQUE for an Indie nail polish brand! I am in love with this brand, formula, finish etc! I will definitely be purchasing more in the future – I can’t stress enough how much you need at least ONE in your collection. I am so impressed with this polish that I may be blog selling some polishes in order to purchase more A-England’s in the future. Hands down you NEED this brand and/or polish in your life!!! I shall be adding a TON more to my wishlist!! Recommend: Yes – must have!!!! Do you own A-England ‘Tristan’ ? What are your thoughts on this nail polish? I love a-England and this happens to be one of my facourite winter shades. I especially love it stamped over using Ascalon, with an accent nail of reverse colours. I couldn’t agree with you more about the great quality of the brand. 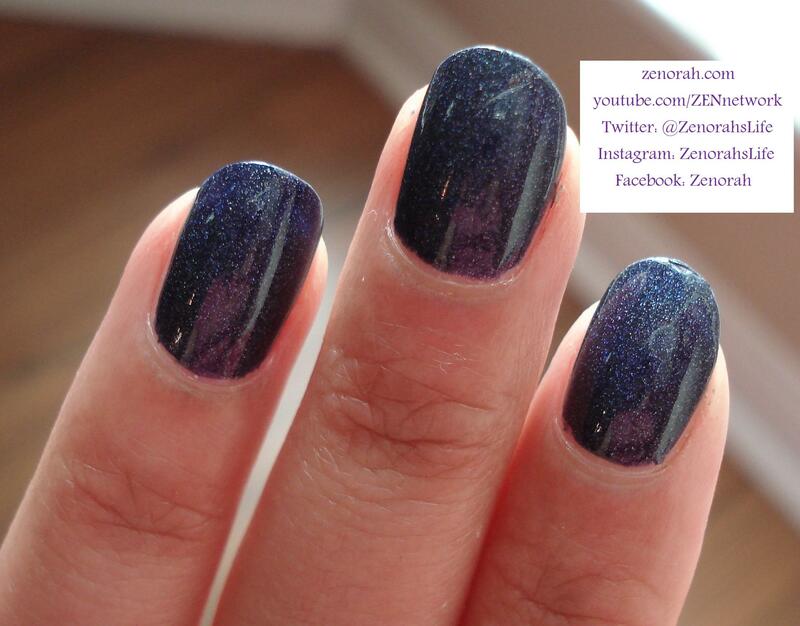 Also, I find that some of the shades can be one-coaters, at least on short nails. this is gorgeous on you!! I love this polish, haven’t worn it in way to long! Oh I loooove this shade of blue. Stormy! Gorgeous on you!